This was a special two-hour edition of The Five Count. During the first half of the show we tried to educate the listeners about the dangers of tooth decay. 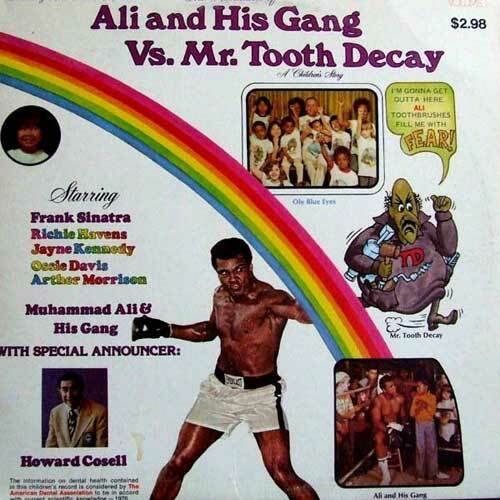 With the help of Muhammad Ali, we set out to eradicate poor oral hygiene. Southern Minnesota’s smiles are brighter already. For the rest of the show we mourned the recent loss of Nate Dogg, broke the news about our new clothing line, and braced ourselves for the possibility that the “super moon” might transform Ton into a Were-Ton. Fortunately, cloud cover helped soften the blow!